How do we talk to children about the current refugee crisis? 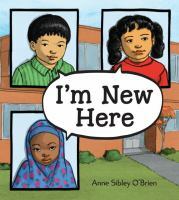 Books can be a great place to start! The following books tell the stories of children forced to leave home. While talking to children about serious subjects can be hard, reading these titles together, talking about them, and making connections to your children’s own experiences can make it much easier. Three children from other countries (Somalia, Guatemala, and Korea) struggle to adjust to their new home and school in the United States. Explores the unimaginable decisions made as a family leaves their home and everything they know to escape the turmoil and tragedy brought by war. 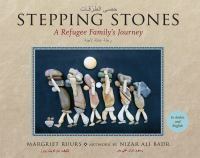 A story about the Syrian refugee crisis told through stunning images of stones. Amira’s one true dream is to go to school, but life in her peaceful Sudanese village is shattered when a terrifying militia called the Janjaweed arrive. A refugee seeking sanctuary from the horrors of Kristallnacht, Oskar arrives by ship in New York City with only a photograph and an address for an aunt he has never met. 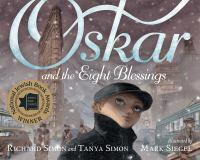 As he walks the length of Manhattan, Oskar encounters its various residents and each offers him a small act of kindness, welcoming him to the city. The Vietnam War has reached Ha’s home. She and her family are forced to flee as Saigon falls, and they board a ship headed toward hope. Celeste Marconi can’t deny the political unrest that is sweeping through her home country of Chile. When Chile’s government declares artists, protestors, and anyone who helps the needy to be dangerous, Celeste’s parents send her to America—to Maine. But even after democracy is restored to her home country, questions remain: Will her parents reemerge from hiding? Will she ever be truly safe again?